Real estate broker agent being analysis and making the decision a home estate loan to customer to signing contract documents for realty purchase, Bank employees recommend mortgage loan approval. Did you know that the average American does not have a credit score high enough to get approved for a mortgage loan? Are you part of this group? If you’ve been having a hard time getting approved for a traditional mortgage loan, that doesn’t mean you have to give up on the idea of owning a home altogether. There are lots of alternative lending options out there that will help you get the money you need to purchase a home. Read on to learn about seven unique mortgage alternatives you might want to consider. If any of these issues apply to you, you shouldn’t feel bad. Buying a home is expensive, and many Americans are in the same situation as you. If you were turned down for a mortgage by a traditional lender, you might still be able to qualify for one. You just might have to seek out a different type of lender. Online lenders often have slightly more lax lending regulations, so they might be willing to work with you even if a traditional lender won’t. Not too long ago, if you said you were getting a home loan from an online lender, people would’ve assumed you were getting scammed. Now, though, there are lots of reputable online lenders out there that are simplifying the home buying process. As long as you’re working with a lender that is accredited by the Better Business Bureau and has positive online ratings, you shouldn’t have anything to worry about. Another way to get the money you need for your home is to work with a hard money lender. Hard money lenders give you an opportunity to borrow money for a home based on the value of the home. Hard money lenders rarely utilize credit checks, and they have more flexible repayment terms. They’re more willing to work with borrowers on an individual basis and put together a plan that works best for them. Hard money lending can be an especially good option for self-employed people or those in unique financial situations that traditional lenders might not understand. If you were turned down for a mortgage because you didn’t have enough money for a downpayment, you might want to consider borrowing against your life insurance. When you do this, you’re borrowing money from yourself and paying it back to yourself. This can be more appealing to some people than borrowing money from a bank or credit union. One of the best things about borrowing against your life insurance is the fact that you can sometimes get lower interest rates than you can get for other types of loans. Folks who get turned down for mortgage loans might want to consider trying to find someone to co-sign their loan. A co-signer is someone with a high credit score who agrees to take over your loan payments if you can’t make them. It can be difficult to find someone to co-sign your loan — it’s a big responsibility, after all. If you can find a friend or family member who’s willing to co-sign, though, this can be an option to try. When you make your payments on time, you can also build up your own credit score, which increases the likelihood that you will be able to qualify for loans on your own in the future. You might not be able to buy a house right away. That doesn’t mean you’ll never be able to, though. You might want to consider renting to own as a stepping stone to being a full-blown homeowner. Renting to own allows you to make payments toward the downpayment on a house while you’re living it. It’s good for folks who really want to get into a house but can’t afford to buy it yet. You may also want to do some research and gain more info about owner financing. 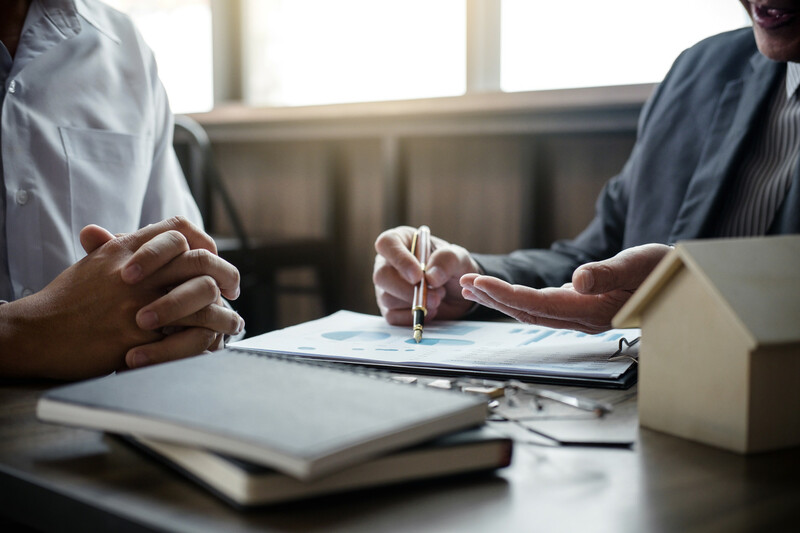 Owner financing — also known as seller financing — involves working directly with the owner of a house and buying it from them instead of working with a lender. Basically, the owner will act as the bank and you will make payments directly to them. This cuts out the middle man and can be a great option. You just have to find a seller who’s willing to take this approach. This isn’t the most appealing option. Sometimes, though, it’s the only option available. If none of these alternative mortgage solutions work out, you might just have to keep on saving for a little while until you have enough money for a downpayment. This isn’t necessarily a bad thing. It gives you time to get the money together that you need and build up your credit score. By doing this, you’ll likely be able to get better interest rates and loan terms than if you’d qualified with a lower-than-ideal credit score and little money for a downpayment. If you’re having a hard time getting your mortgage application approved, you definitely might want to consider one of these mortgage alternatives. You don’t have to give up on your dream of owning a home, you just might have to get creative in the way you go about getting the money for it. Do you want to learn more about the process of buying a home? If so, we’ve got lots of articles to help you. Start by checking out this article on ten questions to ask before you apply for a home loan.